There are four Calendar views: Daily, Workweek, Weekly and Monthly. 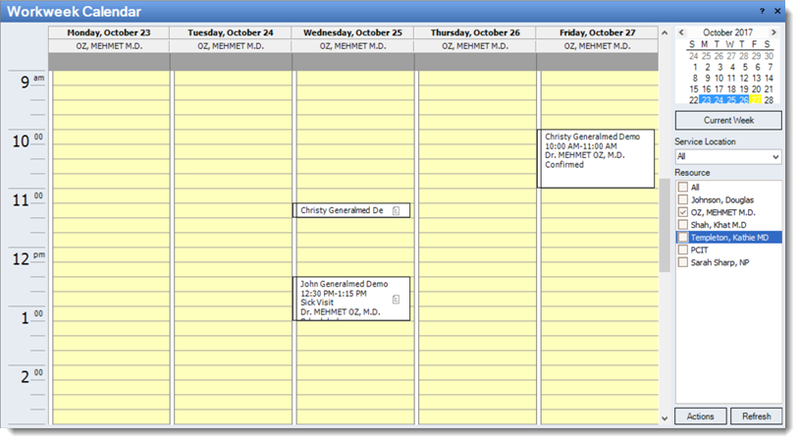 Click Appointments on the top menu, select one of the calendar views or; click the Daily or Workweek calendar icon. a. Appointment: Each appointment will display patient name, appointment time, provider and status. b. 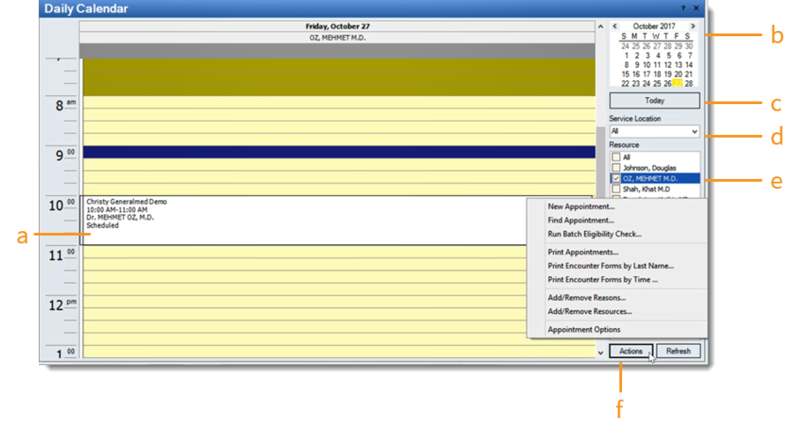 Calendar: Use the calendar option to navigate to a specific date before creating an appointment. c. Navigation Button: Easily navigate back to today's date by clicking this button or use the shortcut of (ctrl+T). 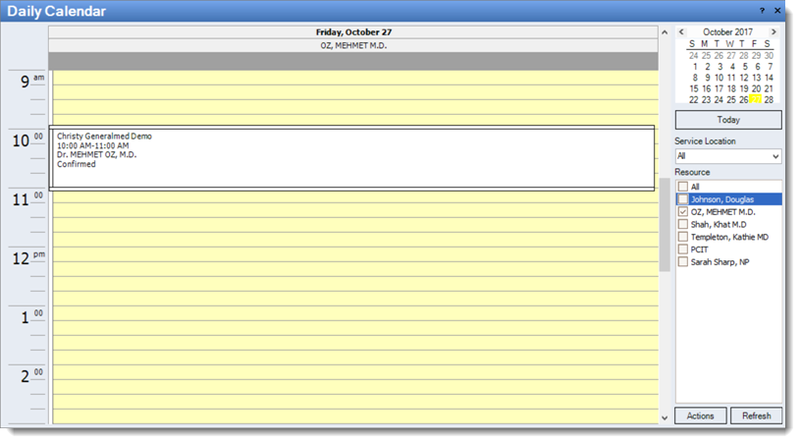 You can find this button on the daily and workweek calendar view. d. Service Location: Select the location to be scheduled for an appointment. e. Resource: See a list of resources for scheduling. 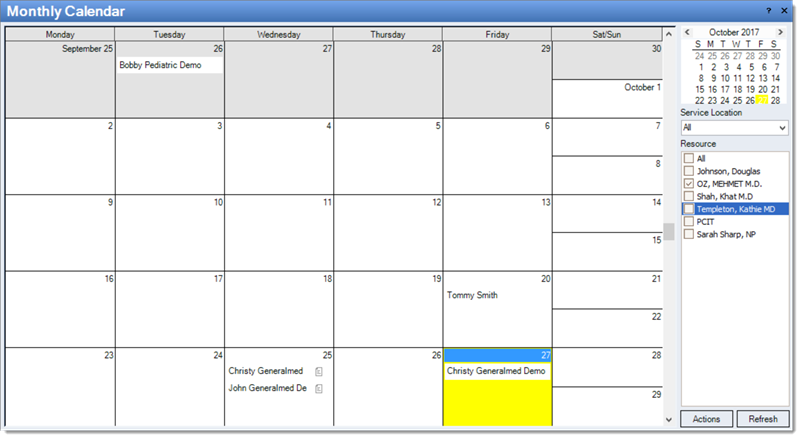 Check one or more boxes to view multiple calendars at once. f. Actions button: Click here for additional appointment options. 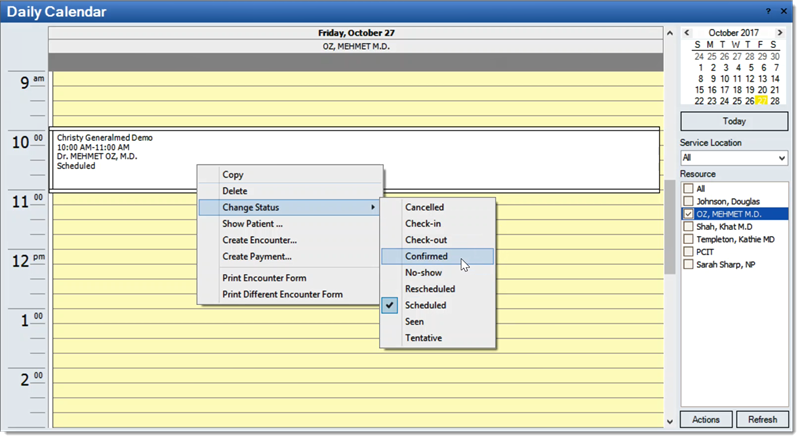 Right click over the appointment to view additional menu options or select a status for the appointment. The Daily Calendar displays an entire day. 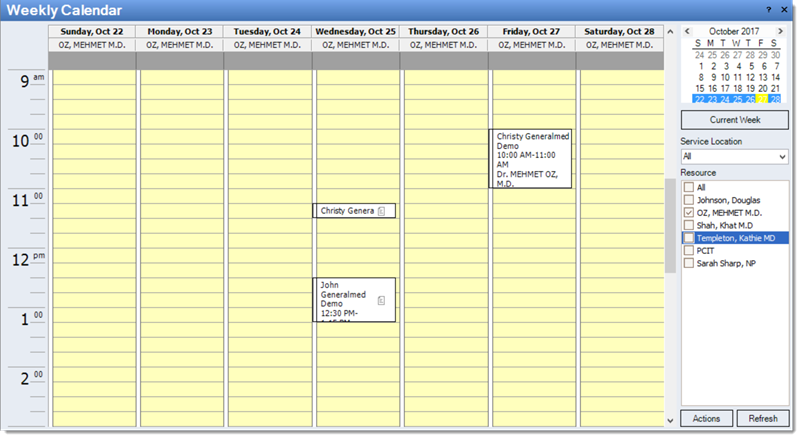 The Workweek Calendar displays Monday-Friday. The Weekly Calendar displays Sunday-Saturday. The Monthly Calendar displays an entire month.